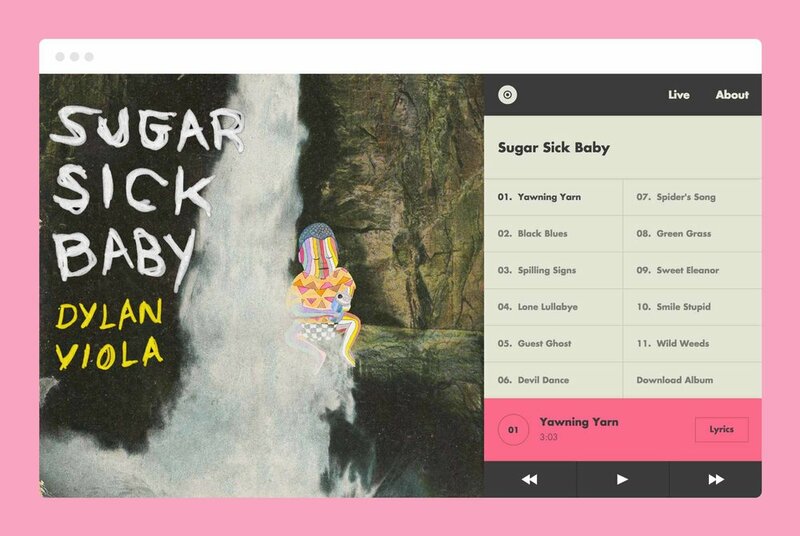 For the release of his second LP, Sugar Sick Baby, Brooklyn based musician Dylan Viola reached out to create a personalized listening experience for people to stream and download his new album. Using original artwork from a collaboration with NotFromCaves, I designed a fully responsive music player tailor-made to house Viola's discography and surface his engrossing lyrics. 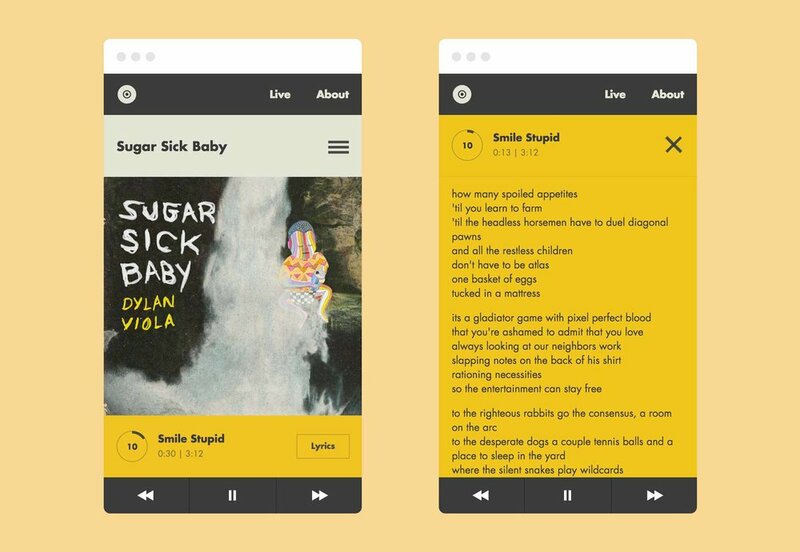 The minimal player was designed for Viola's second full length, Sugar Sick Baby. Fully-responsive, the website maintains structure even at the most extreme browser sizes. Details such as subtle animation and color changes keep the experience special and unique. Each song has a lyrics drawer so the audience can read along. This is important because the lyrics are really, really good. The website was built to be scalable. Currently it carries two of Viola's albums with room for more.